On a monthly and quarterly basis, health insurance payers including Medicaid, over 33 commercial payers, and Medicare submit claims to the Colorado All Payer Claims Database (CO APCD). Payers submit claims for everyone they provide coverage to, regardless of whether they accessed health care during the previous period or not, resulting in over four and a half million claims collected and processed monthly. Getting all of these claims into the database and getting accurate data out to those we serve without errors requires multiple quality checks along the way. Our Data Quality Process document details the quality checks performed at each step, but, since we may have already lost you (hopefully not! ), and since this is a PlainTalk blog, let’s break it down into something more relatable – your favorite restaurant making that incredible cake you can’t seem to resist. Getting the perfect ingredients from restaurant suppliers, making sure they are exactly what the chef ordered, mixing the ingredients together, baking the cake and making sure it’s just right before bringing it to your table are all similar steps we go through at CIVHC to make sure the CO APCD data we provide is as accurate as possible. The restaurant making your cake orders specific ingredients that they expect to be a certain type and size. If they receive the wrong kind of sugar or get fewer eggs than they ordered, they have the supplier fix the discrepancy. Similarly, every month, payers submit claims to us that are supposed to be in a specific format and contain specific information, all outlined in our Data Submission Guide. If we get claims from payers that don’t have all of the fields filled out, or a lot less claims than we usually get from them, we let them know immediately and they fix and resubmit the claims. Once the restaurant checks to make sure the right type and amount of ingredients have been delivered, they check the ingredients in more detail to make sure they haven’t expired or smell funny. If the flour is a funny color or the eggs smell rotten, they will ask for new ones. In a similar fashion, we look at the claim files from each payer to make sure they contain what we expect them to like an anticipated number of members, not more men or women compared to normal, total payments in the ballpark of what we would anticipate from that payer based on trends, and more. If something doesn’t seem right we double check with the payer and have them resubmit if there is an error. Only after all the ingredients are approved by the chef will everything get mixed together and prepared for baking. This is the step when HSRI, NORC, and CIVHC feel comfortable to move the claims from intake from individual payers into the actual data warehouse where they are combined and processed. When the cake is in the oven, the magic (science, actually) happens! The baking soda combines with the eggs, flour and other ingredients to make the cake rise and make it the consistency that is perfect for eating. This is the stage in the claims cycle where we combine the claims to make it actionable, usable information for our stakeholders. Similar to the icing on top that provides the finishing touches, we apply a master provider and master patient index and add other value-add components to make the data even more valuable. Like the chef making sure the cake looks the way he or she wants it to, we check the data after applying the filters to make sure it is in alignment with what we expect to see. The chef may do a taste test or at least a visual or smell check to make sure your cake looks and tastes great before delivering it to you. CIVHC does the same thing with analysis before releasing public or non-public data. We make sure the data makes sense according to our “smell check” or expectations of what we’ve seen in other state or national data, or what we’ve seen in previous analyses. For public release of price and quality data, we also do a preview period with facilities so they can make sure the data looks good according to what they would expect from their internal data. If you get your cake and it’s not what you expected or it just doesn’t taste right, the restaurant would get you a new piece. Depending on what was wrong, the restaurant may have to go back to step one or two above and investigate the initial ingredients to figure out the source of the issue. At CIVHC, if we deliver information to a stakeholder or publish information that we’re told doesn’t seem right, we go back to the appropriate stage(s) in the processes to see what may have happened and look for a solution. Every time we find something new that we haven’t seen before in our quality assurance process, we update our validation steps and guidelines to make sure that we’re looking for that same issue in the future. Like your cake, there is always room for improvement, and little tweaks along the way ensure that each piece gets better with time just like the CO APCD data warehouse and analyses that come out of it. 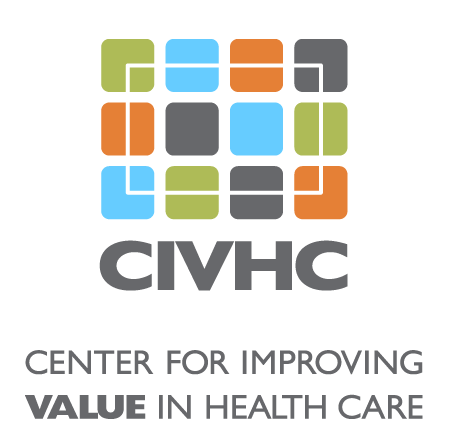 If you have more questions about our data quality checks and processes, please email us at ColoradoAPCD@civhc.org.